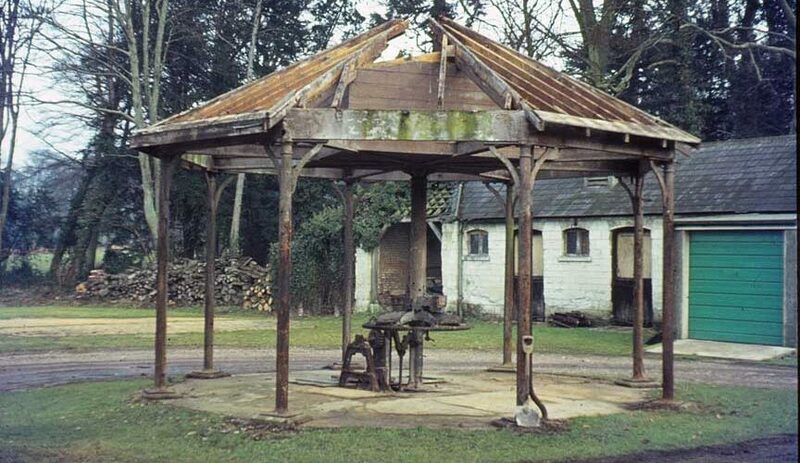 In the early 1970’s it came to the attention of Ken Major that a horse wheel at Shabden Park, Chipstead, Surrey had become unsafe and was in danger of collapsing. 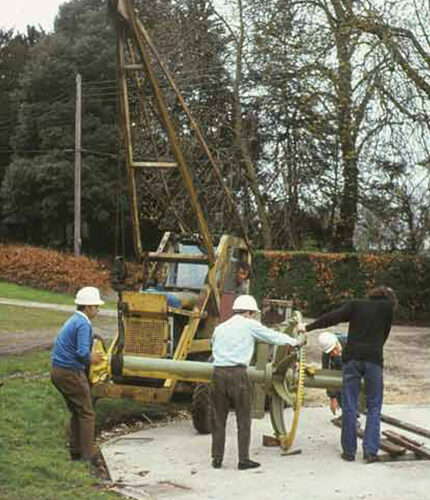 As an active member of the Berkshire Industrial Archaeology Group (BIAG), and an expert on animal-powered machinery he arranged for its rescue and re-erection at Greys Court, Henley by members of BIAG (click to link). 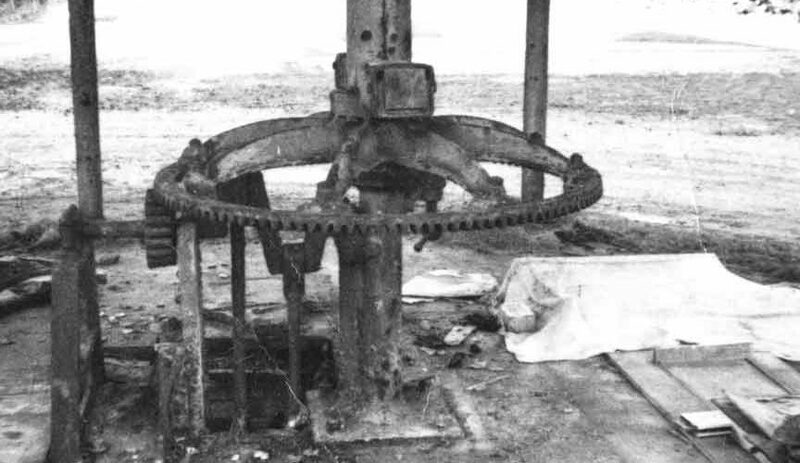 The two-horse wheel, which drove two pumps raising water from a 488 ft. (150 metres) deep well, was in an open building. The water was pumped into a slate water tank in the roof space of the horse wheel. 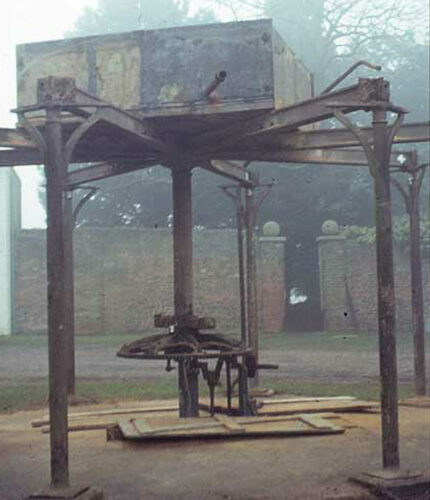 The horse wheel had two horse arms mounted above an inverted crown wheel, which was itself mounted around a sleeve which revolved around the central pillar of the building housing the machine. The building was octagonal and made of cast iron. 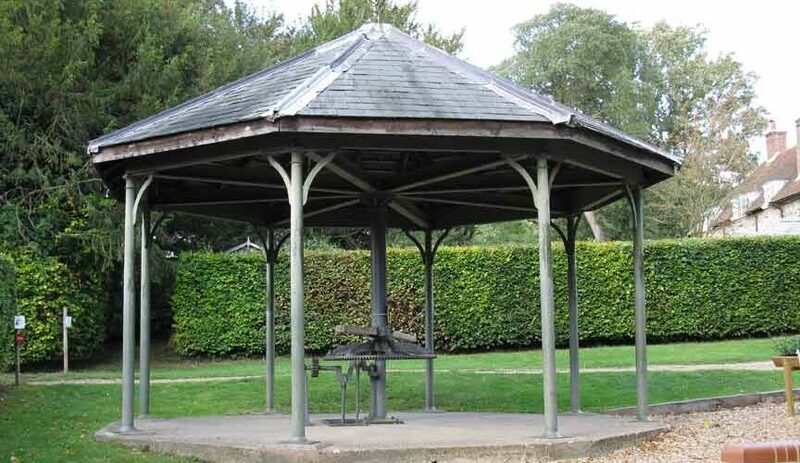 It was designed like a band stand, each corner supported by a cast iron column. 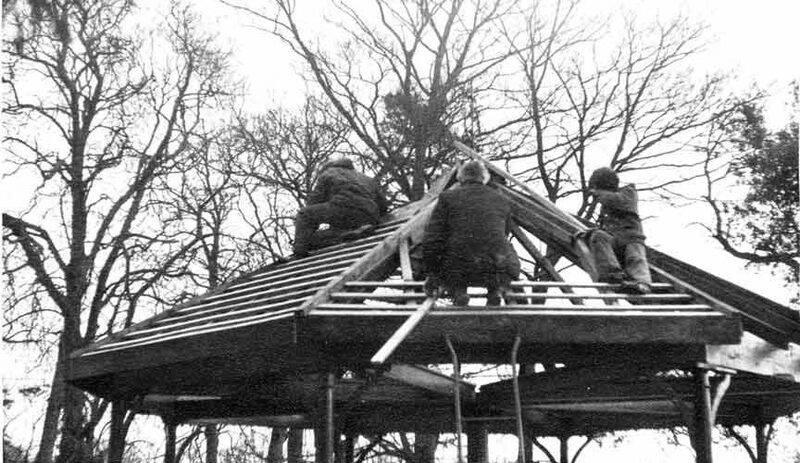 The roof system had timber beams on the face, but cast iron support beams. 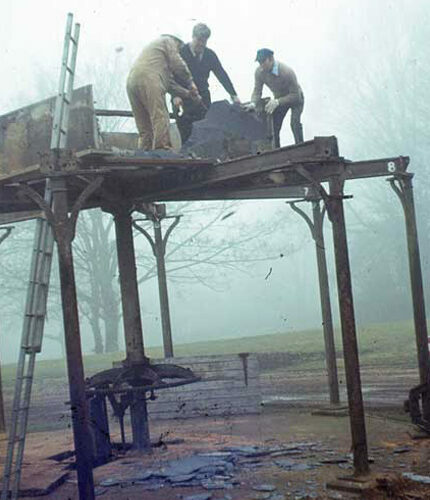 The horse wheel was dismantled in 1973, transported to Greys Court and re-erected by members of BIAG. Unfortunately, the great weight of the slate meant that the tank was broken during the dismantling. Also, the weight and size of the iron pump rods in the well meant that these had to be cut off just below ground level. 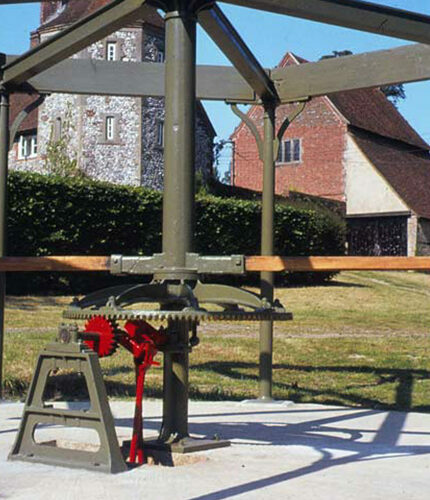 The dismantled ironwork of the horse wheel was transported to Greys Court using a lorry with a hydraulic crane. A concrete base was laid, with a hole in the middle to simulate the well done which the pump rods fitted. 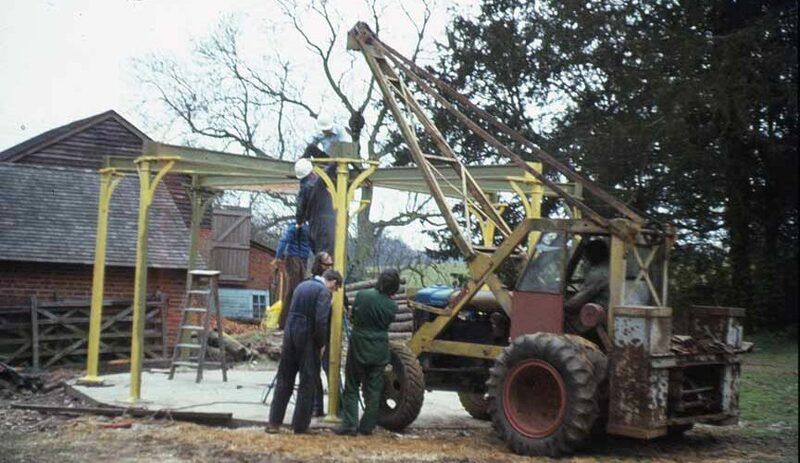 The heavy ironwork was lifted into position using a Chaseside crane (Fordson tractor based) belonging to Jo Moodie of Chazey Heath. 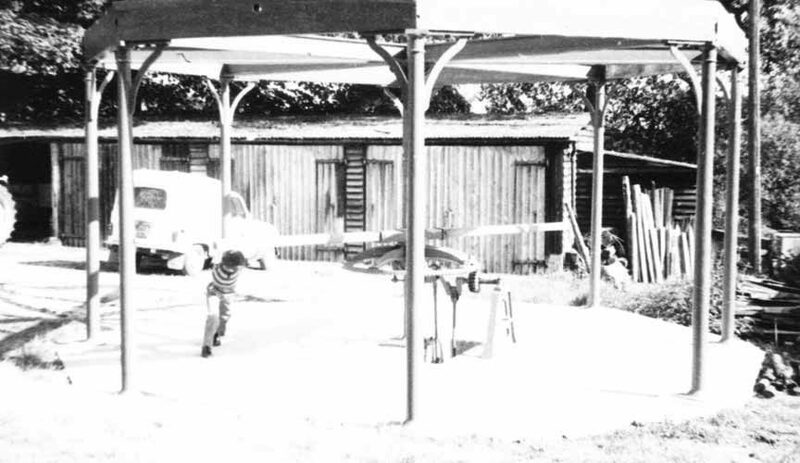 The official opening of the horse wheel was performed on 8 June 1975 by Lord and Lady Brunner, the owners of Greys Court, who donated the property to the National Trust. 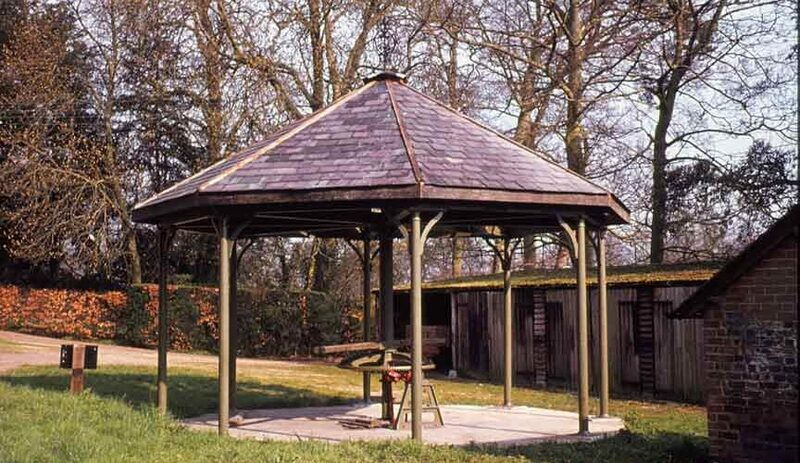 Greys Court also has a Tudor Donkey Wheel which was used for raising water was from a well 180 ft. (55 metres) deep.